The God of Thunder (Thor, played by Chris Hemsworth) gets a 'thunderous' response at Indian box office for his new film Thor: Ragnarok. 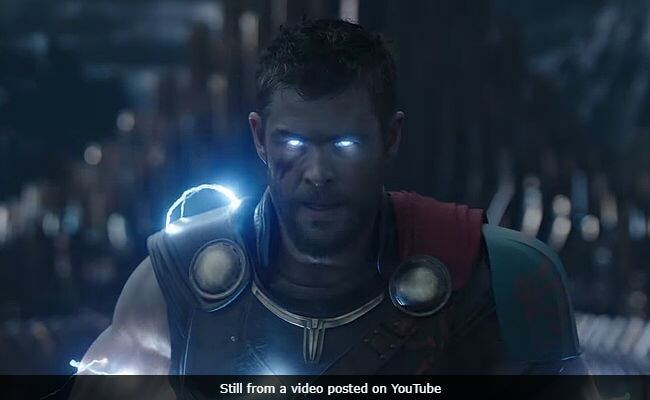 According to trade analyst Taran Adarsh, the third film of the Thor franchise has surpassed the lifetime collection (In India) of the previous two films, by pocketing Rs 35 crore (gross box office collection) over the weekend. The film's business grew from Friday to Sunday over the first weekend of its release and the Chris Hemsworth-film did a business of over Rs 10 crore on Sunday alone. The nett collection of Thor: Ragnarok is Rs 27.66 crore. #ThorRagnarok packs a THUNDEROUS total... Surpasses *lifetime biz* of first two #Thor movies in India in just 3 days... Fri 7.77 cr, Sat 9.43 cr, Sun 10.46 cr. Total: 27.66 cr Nett. GrossBOC: 35.46 cr. India biz. Thor: Ragnarok is giving stiff competition to Bollywood's Ittefaq, which also released on Friday. Though the collection graph of Ittefaq also showed an upward trend, it couldn't outperform Thor: Ragnarok. Ittefaq's weekend collection ended at Rs 16.05 crore. Thor: Ragnarok opened to 5-star reviews on Friday. Film critic Raja Sen said that Thor: Ragnarok is 'the funniest superhero film of all time." He wrote: "Thor: Ragnarok is a true rock and roll original, and the reason it exists is because there's a director (Taika Waititi) who's sure all that titters is gold." The film, which released in US last week, has had an impressive run there too. According to Rotten Tomatoes, Thor: Ragnarok is the best-reviewed Marvel film ever with 96 per cent rating. It features Chris Hemsworth as the titular Thor, Cate Blanchett and Hela, Tom Hiddleston as Loki, Mark Ruffalo as Hulk/ Bruce Banner, Idris Elba as Heimdall and Tessa Thompson as Valkyrie. Benedict Cumberbatch (as Doctor Strange) also as has a cameo.